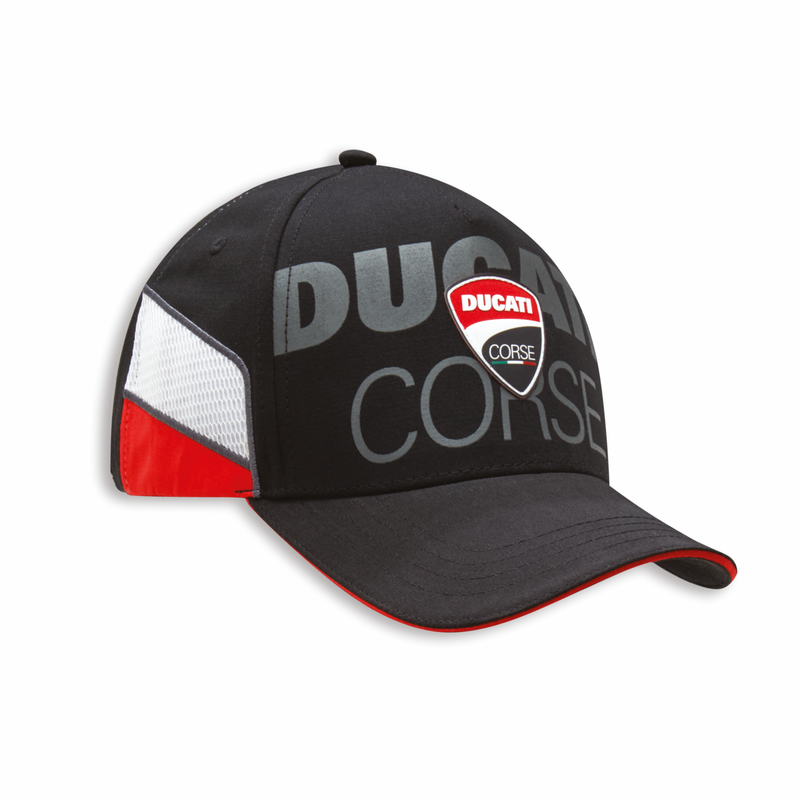 Ducati hat with a dynamic cut. 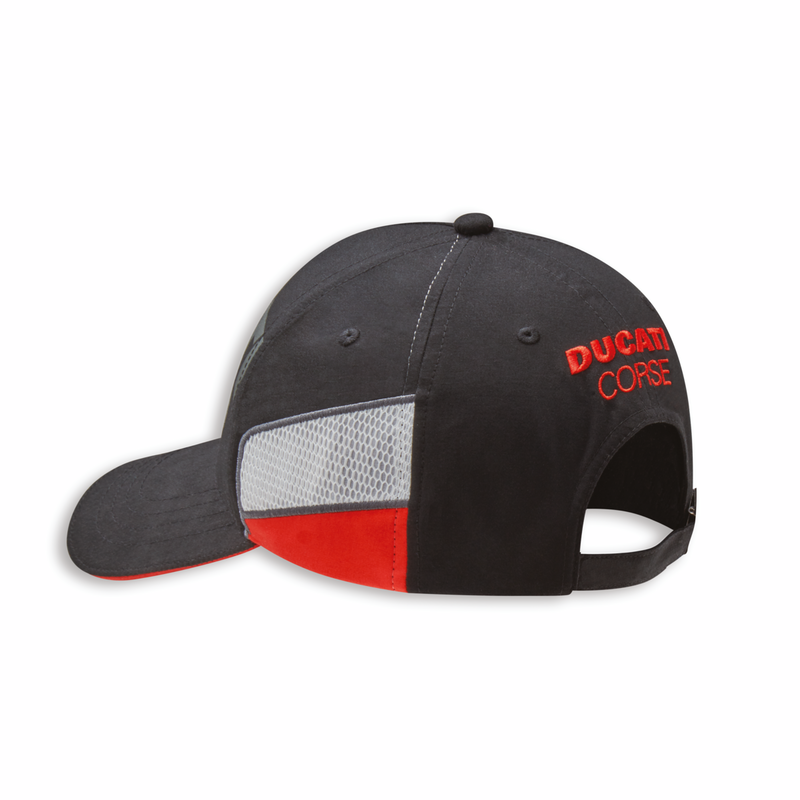 Side inserts in 3D mesh give the hat a bold racing look. The must-have accessory for all fans of motorcycles made in Borgo Panigale.